In 2002 the ScenicView Academy director commissioned artist Gary L. Kapp to paint an original oil depicting the New Testament account of the Apostle Peter’s walk upon the water and Peter’s personal struggle with faith and fear as recorded in Matthew 14:24-33. In a contemporary aspect, the waves represent the challenges of this world. At periods of time these challenges may become a tempest. Even the most seasoned and experienced traveler of life’s waters may lose faith and succumb to fears. Sinking feelings may drag one down into the depths of despair, yet, if a person will reach and plead unto God, even in the smallest remaining hope of faith, he/she will be lifted. In our Savior’s loving manner he not only solidified Peter’s steps again but also gave Peter some personal counsel. 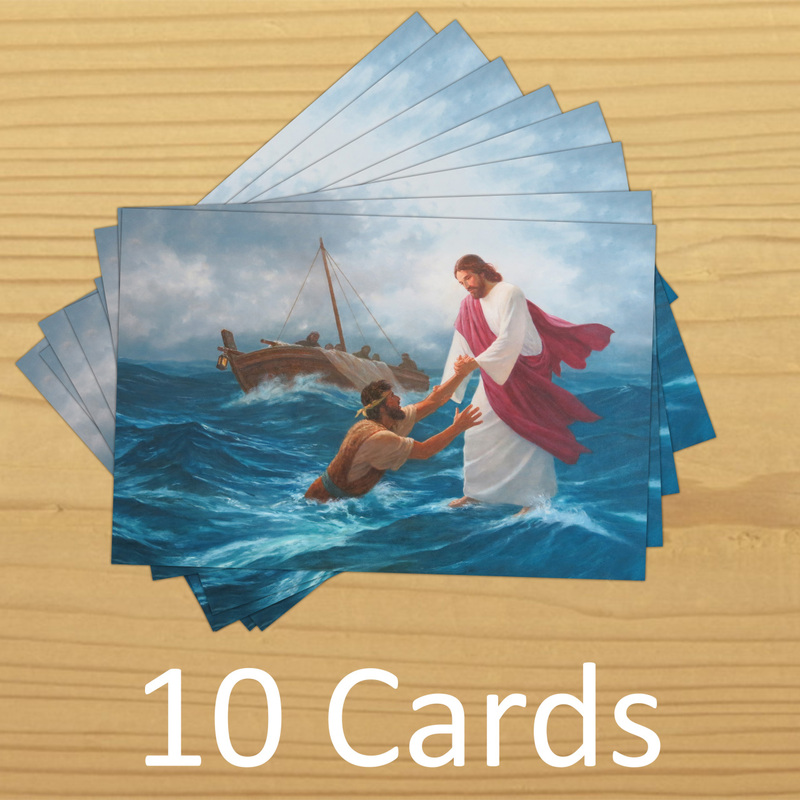 Peter and the Savior continued their walk together among the tumultuous waves until they reached the boat. Only then did the wind cease. 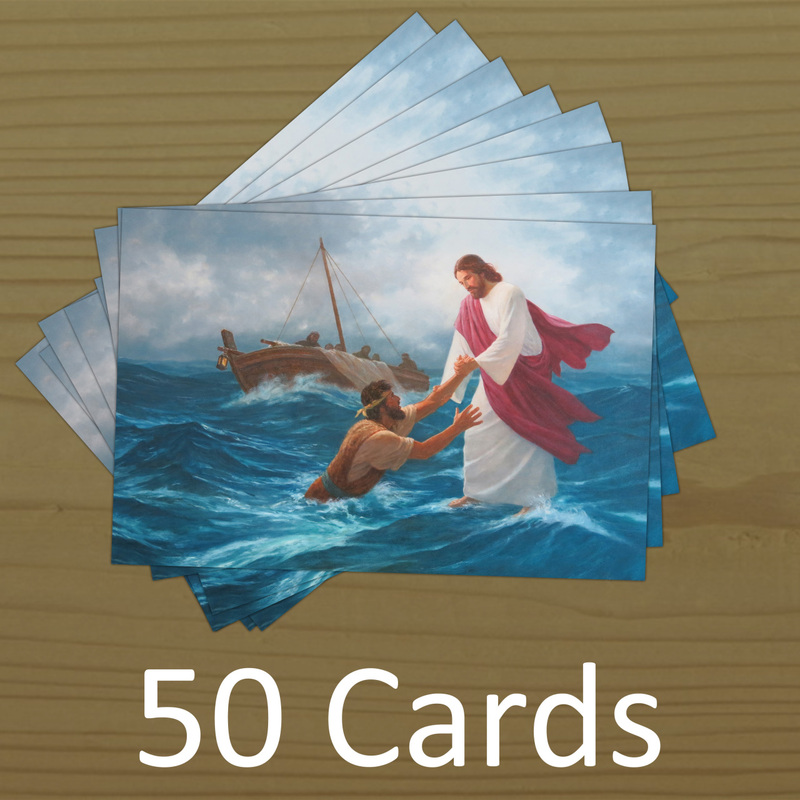 How kind and wise was the Savior not to still the tempest immediately after Peter’s rescue. Instead, with the Savior at Peter’s side, Peter continued walking the tempest until reaching the boat. 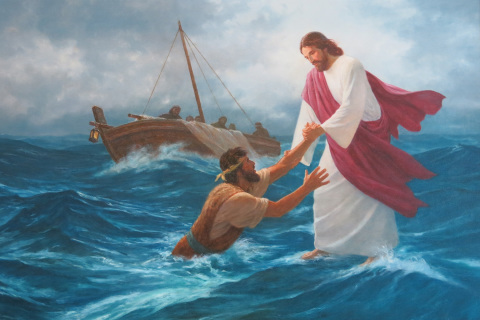 Such an experience proved a master teaching moment and an act to renew Peter’s confidence and faith that with the Savior by his side, he could walk the tempest. Each person who ponders this scripture may further personalize this event in other significant ways. Thus, the Savior’s life and teachings are able to embrace all mankind; yet touch individual hearts. A pleasant passage shore to shore? The night a grosser threat. I focus on engulfing woes. An act of hope thrust high my hand. A light of faith is sparked within. “Lord, save me!” is my cry. My call is heard. My hand is grasped. I rise from depths of fear.